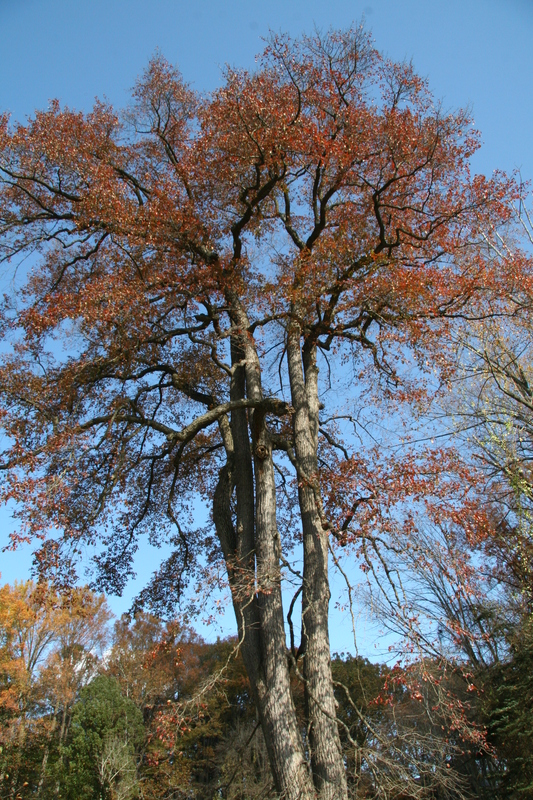 Blackgum is a member of the tupelo family native to Delaware. It is one of the last trees to leaf out in the spring and one of the first to lose its leaves in the fall. Its dark blue fruit (called a drupe) is preferred by many birds and other wildlife. Its gray bark is usually divided into rectangles by black fissures. Known for its hardiness, its leaves turn a fiery-red in autumn. Blackgum leaves are roughly oval with short, blunt points, and its fruit is round, dark blue and clustered on stalks up to 1.5 inches long.